Get out and get amongst it with the Subaru Forester. Packed with great tech, comfort and safety features, it is the perfect SUV for busy Australian families. Want to do more on the weekend and enjoy more of your everyday adventures? Then hurry into a Subaru Retailer by August 31 and you will get a $1000 factory bonus on new and demo Forester 2.5i-L and Forester Luxury models¹. Don't miss out- test drive a Subaru Forester today! 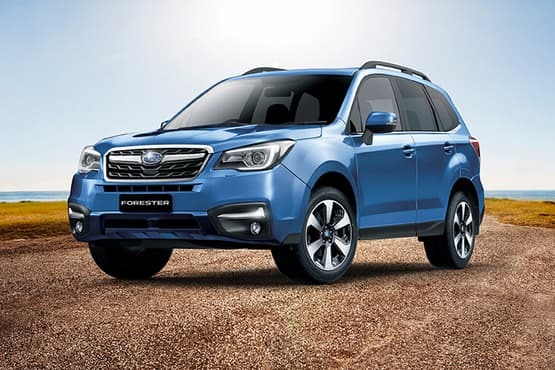 ¹$1000 Factory Bonus available at participating Subaru Retailers on selected new and demonstrator Forester 2.5i-L and Forester Luxury models sold between 1/7/2018 – 31/8/2018 and delivered by 31/8/2018. Offer excludes Government, Fleet & Business Rental Buyers.